The men were wearing balaclavas and carrying hammers as well as what appeared to be a gun. AN 83-YEAR-OLD man who helped stop a robbery at a bookmakers shop in Cork has been hailed as a hero. Denis O’Connor helped tackle three armed raiders at Bar One Racing in Glanmire, Co Cork on Saturday evening. The men entered the bookies at around 6.30pm. They were wearing balaclavas and carrying hammers as well as what appeared to be a gun. CCTV footage of the incident shows O’Connor and shop manager Tim Murphy fighting off the robbers. Speaking to Cork’s Red FM today, Murphy said the incident is “a total blur” but that the footgage is “shocking”. “The noise was absolutely incredible. They were just roaring and they bashed hammers a few times. Murphy said he was being threatened by two of the men when O’Connor stepped in. I remember Denis shouting, ‘You’re cowards, you’re total cowards.’ Denis is just a total hero, when I saw him taking one of them on, he just totally inspired me. “Once they were taken on they totally backed down,” Murphy said. The would-be robbers left emptied handed and drove off in a black car that was parked outside. O’Connor kicked one of the men as they fled. 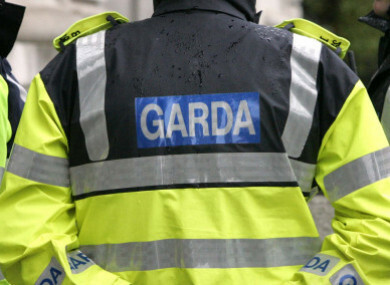 Gardaí in Mayfield have appealed for information about the incident. They are particularly keen to receive any information or witness accounts of the three male suspects in the Riverstown, Glanmire area between 6pm and 7pm on Saturday. Gardaí are also seeking any mobile phone or dashcam footage from the Riverstown, Glanmire or Sallybrook areas during the same time period. As well as that they are looking for any witnesses to suspicious activity by a black saloon car – an Audi A4 or a VW Passat – in the same area at that time. Anyone with information is urged to call Mayfield Garda Station on 021 455 8510 or the Garda Confidential Line on 1800 666 111. Email “'You're total cowards': 83-year-old man who tackled armed robbers at bookies hailed a hero ”. Feedback on “'You're total cowards': 83-year-old man who tackled armed robbers at bookies hailed a hero ”.